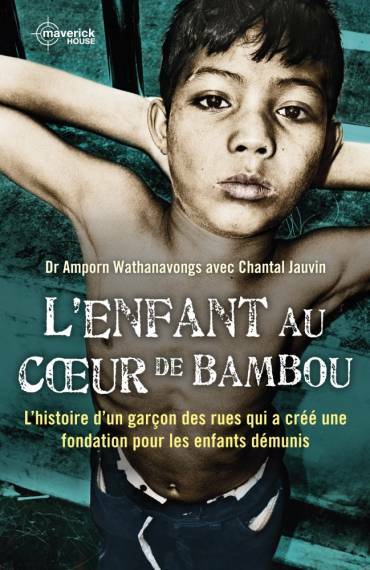 Chantal Jauvin takes time out from cycling in Sardinia and Sicily to discuss the publication in French of The Boy With A Bamboo Heart. We’ve to discuss the translation of the book but I’m curious to know how she came to write the remarkable biography of a life so far removed from her own. 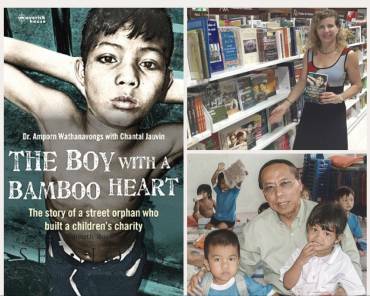 What is the source of this connection between an attorney born in Ottawa, Canada and her subject, an orphaned child soldier-turned-philanthropist in Bangkok? What inspired a Canadian lawyer to document the life of Dr Amporn Wathanavongs? How did the two meet? “It was serendipity,” she tells me. “I was travelling to Thailand with my fiancé, now my husband. Though I had worked throughout Asia I had actually never been to Thailand. My husband had known Dr. Amporn for a number of years and he had already been sponsoring children at Fordec.” For those of you who don’t know, Fordec is the children’s charity founded by Dr. Amporn Wathanavongs, the subject of Jauvin’s biography. It was back at the school that she met Dr. Amporn for the first time. Jauvin started interviewing Dr. Amporn in 2010. It would take another 5 years for the book to reach the shelves. She wrote the book in the third person but met a significant setback when a New York editor asserted the story needed to be told through a first person narrative. “I thought, ‘No of course it can’t be’ but it was a gnawing thought that perhaps she was right and so I rewrote the first two chapters.” She then sought guidance from a writers’ critique group in Philadelphia which prompted her to start again. “That set off a whole new set of interviews with Dr. Amporn because writing from the first person, trying to find his voice and learning more deeply his thoughts and his emotions throughout his journey became almost like writing a second book. And it was only in that second process that I became aware that he had been a boy soldier. He had not revealed that in the first round of interviews,” she said. Thus it was only when Dr. Amporn shared a story of how Dr Amporn had been wounded whilst fighting in Cambodia that she became privy to the darkest period of his life. 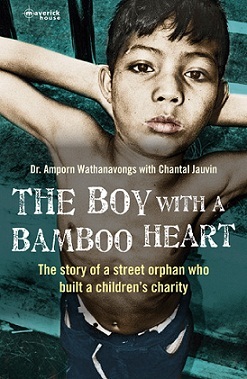 Jauvin translated The Boy with a Bamboo Heart into French herself which is no easy feat. She said she’s excited at the prospect of its publication. Father Boningue was a French Jesuit missionary who helped Dr Amporn to found the Credit Unions of Thailand. The second connection is more personal for Jauvin as she is a French Canadian. Did she find translating the book difficult? Was it an enjoyable process? “It was, I did enjoy it. It’s my first book and so it’s very difficult for me to know how to compare it to different projects but the experience of translating my own work versus somebody else’s work was really challenging because I was being critical of the writing as I was translating,” she laughed. Was she tempted to change anything, to edit it, or did she stay faithful to the original work? It has taken a great deal of commitment and dedication to get The Boy with a Bamboo Heart this far. Is Jauvin ready to devote herself fully to another project? Has it been difficult to find people to interview? Jauvin hopes to begin interviewing process soon so she can start the new year by putting pen to paper. She tells me that the first book chose her and that she also feels this book has chosen her. She laughed “perhaps by the time I get to my third book I’ll be choosing it!” Long may it continue. Perhaps the best stories choose their authors.